Exactly a week ago, W.E. kicked off World Water Week with the 5K. Today, hundreds of thousands of people all over the world helped celebrate World Water Day. 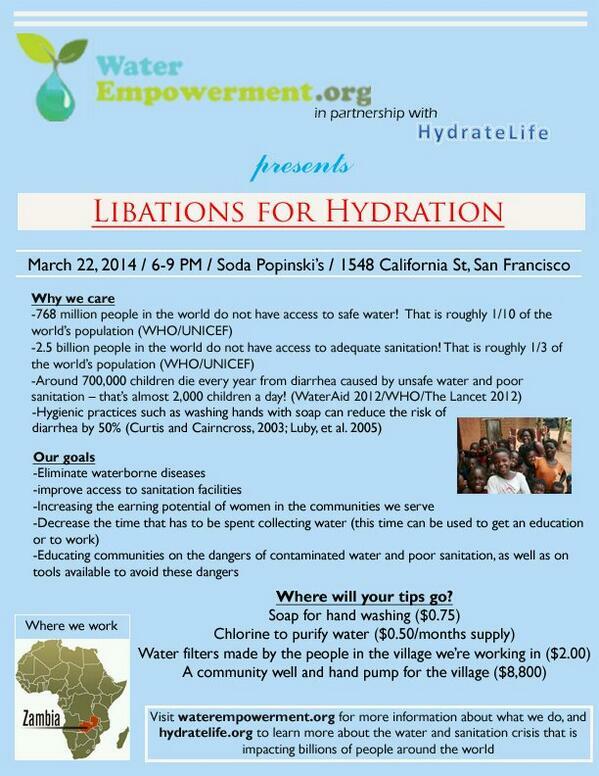 This evening our partner HydrateLife.org is celebrating by hosting “Libations for Hydration”. If you are in the San Francisco area, please drop by Soda Popinskis between 6-9 pm located at 1548 California St. All tips collected during the said hours will go towards making #water safe and accessible to rural communities in Zambia. So stop by and have a drink, it’s for a good cause! Happy Saturday and enjoy the rest of your weekend.